As a part of the Tohoku Medical Megabank (TMM) Project Cohort Study conducted by Tohoku University and the Iwate Medical University, we extracted and sequenced DNA from blood provided by study participants. Statistical analysis was conducted on thousands of participants’ genome sequencing data, and results were provided to many researchers in various forms. These genomic results not only served to advance current medical research, but were sometimes also returned to participants in the interests of their health. However, no precedent has been set out where genomic results were returned to participants in large-scale research projects in Japan. Only a few studies in the world have done this. On this page, we will provide an overview of our project and the process of deliberation that led to our decision to return genomic results to participants. One of the primary objectives of the TMM Project is to use personalized medicine and healthcare as key components of next-generation medicine. In personalized medicine and healthcare, medicine and healthcare plans are informed by and based on genomic information. Recently, we reported on biobank participants’ preferences for receiving their own genetic information (Yamamoto, K. et al., J Hum Genet. 2017). The achievement of this goal is dependent on whether each individual has accurate information regarding his/her genomic profile. With this goal in mind, we decided to not completely rule out the possibility that genomic results may one day be returned to study participants if they so choose. This was outlined in the informed consent form for this project. This project was part of the reconstruction efforts in the aftermath of the Great East Japan Earthquake and tsunami that occurred in 2011. After considering the fact that victims of the earthquake would constitute a portion of study cohorts, we desired to pave the way for the research to contribute its participants as much as possible. As this is the first large-scale study in Japan that returned genomic results to participants, we anticipated many challenges that needed to be overcome in order to realize this goal. Therefore, we consulted experts throughout Japan, and set out strict conditions for genomic information return under the TMM Project. In the informed consent form, we notified the participants that we would contact them with inquiries regarding whether they wish to receive their own genomic results once preparations for return have been made. In addition, we carefully specified the following four conditions that should be fully met for genomic results to be returned: 1) analytical validity, 2) clinical validity, 3) no risk of impeding the research, and 4) actionability. Ensuring the appropriate selection of returnable genomic information after careful consideration from multiple perspectives. Ensuring that the return of genomic results does not disadvantage or harm the participants receiving the information. Confirming that the participants wished to receive the genomic results. To pave the way for the return of genomic results, the two universities formed an interdisciplinary task force to tackle this challenging venture; a report was produced upon discussion between members. Based on this report, both universities requested that a committee be formed consisting primarily of external experts to examine the issue of returning genomic results to participants. The committee convened seven times between May 2015 and March 2017, and approved the return of genomic results in the pilot study at the fourth meeting held in March 2016. The main aim of this pilot study was to evaluate the psychological impact on participants following the return of genomic results. The pilot study was approved by the Ethical Review Boards of both Tohoku University and Iwate Medical University. After much deliberation, it was decided that the pilot study would target familial hypercholesterolemia (FH) for the following four reasons; (1) the disorder is important for health, (2) correlation between the genetic variant and prognosis of the disease has already been elucidated, (3) treatments for the disorder are available, and (4) incidence of the disorders is not so rare in general populations. Our primary targets in this pilot study were participants who already exhibited clinical symptoms. An example of one of the inclusion criteria was to either have demonstrated high blood cholesterol values from blood tests during cohort studies or have undergone past treatments. The selection process was conducted without cross-referencing the genome analysis results. Subsequently, those who participated in a lecture, and gave informed consent underwent further blood tests. Genetic education was effective and important for the participants’ accurate understanding of genetic disorders (Fukushima, A. et al., American College of Medical Genetics and Genomics 2018). As stated in our protocol, return of results to these participants occurred irrespective of whether they were associated with the pathogenic variant. This pilot study was conducted over the course of one year, with the final questionnaire sent after the return of genomic results (the fourth including those from before the return). As of May 2017, over 30 participants have received their genomic results. Within the project, this pilot study will also be followed by further trials. Secondary studies are currently under consideration, and include the return of genomic results to participants who have not yet exhibited clinical symptoms, as well as the return of genomic information on drug response (PGx); this knowledge is medically beneficial, albeit not directly related to the disease. Ultimately, we aim to return genomic results that encompass risks of multifactorial diseases. 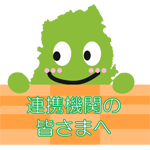 © IWATE TOHOKU MEDICAL MEGABANK ORGANIZATION 2013- All Rights Reserved.